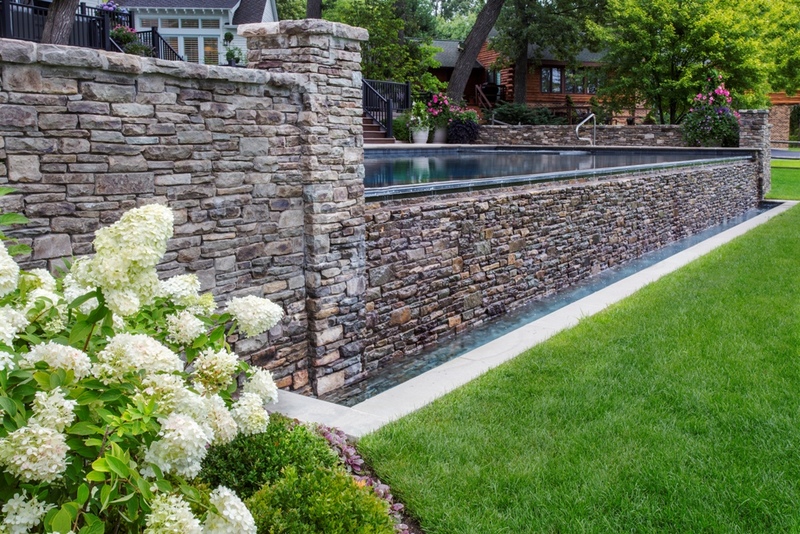 Stone walls and brick walkways are the focal point of this extraordinary design. 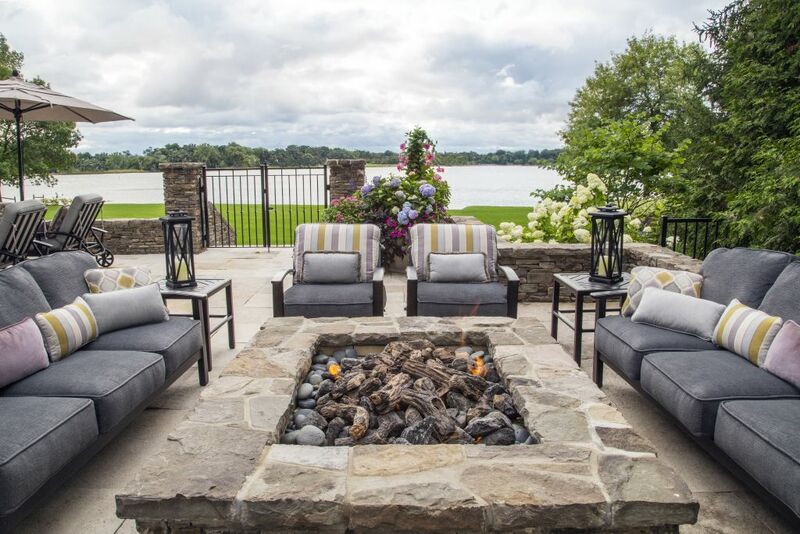 Although the current engagement began with a single garden the homeowners were so pleased with the look of the New York fieldstone that the project scope grew to several acres. The front garden of the main house is formally outlined with a wall of that New York fieldstone, and formality continues with the straight lines of Boxwood and large groupings of plantings. Walks are reclaimed street pavers set in a herringbone pattern with a double edge, with terraces in a lighter Eden stone. 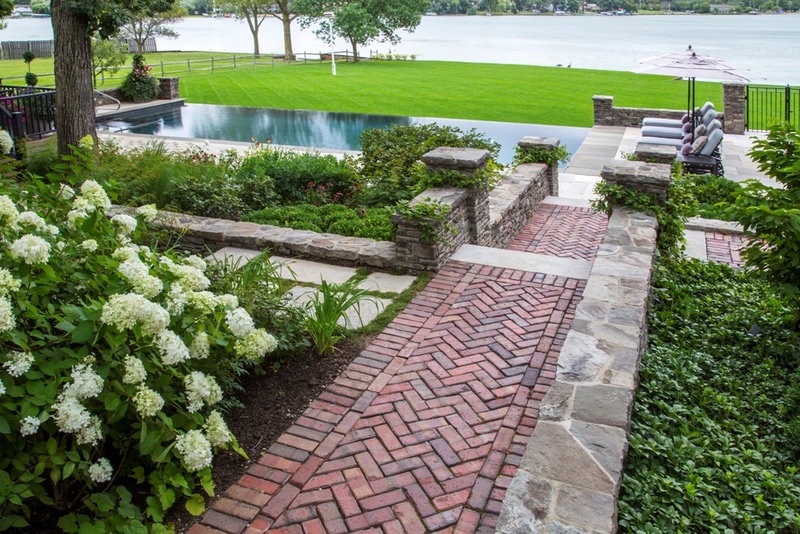 Brick and New York fieldstone are carried into the rear gardens combined with more Eden stone creating paths leading to three wood decks. Grade changes were created with long runs and short rises to multiple levels between the residents and the lakefront. 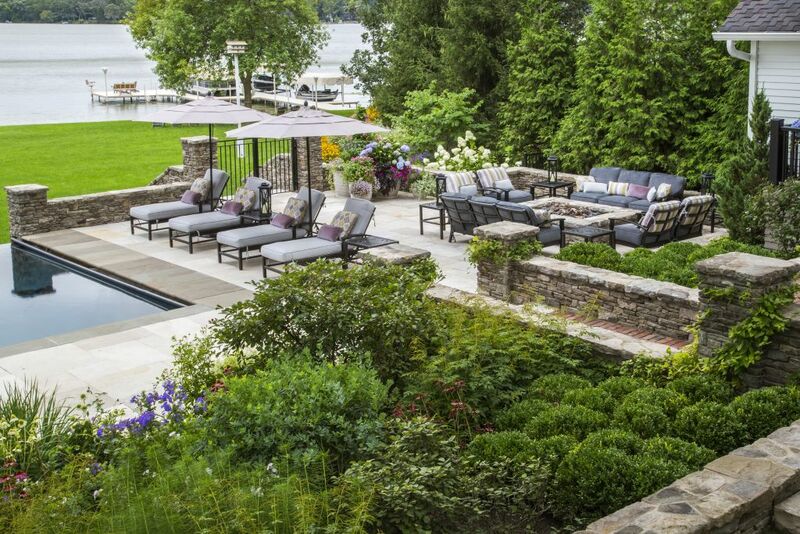 The rear hardscape culminates in the dramatic infinity pool, with water flowing into a trough at ground level. 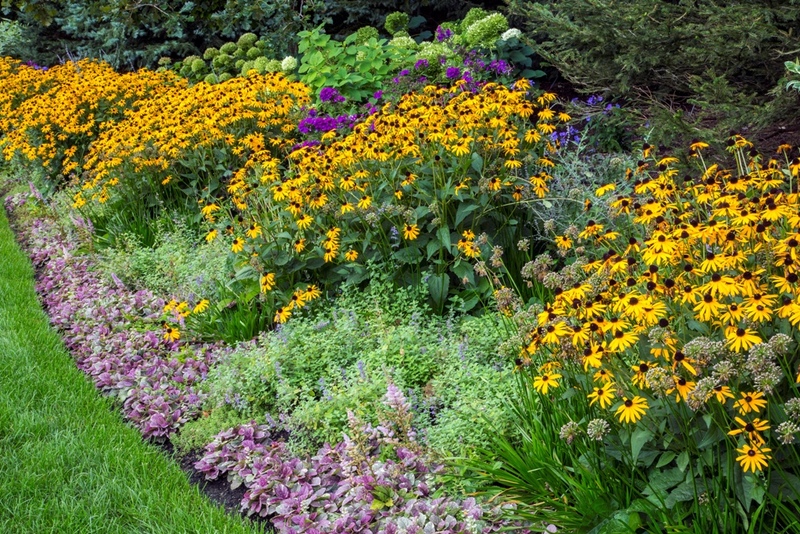 An expanse of lawn encompasses the final level, lined on one side with sweeps of evergreens, shrubs, and perennials all the way to the lakefront. 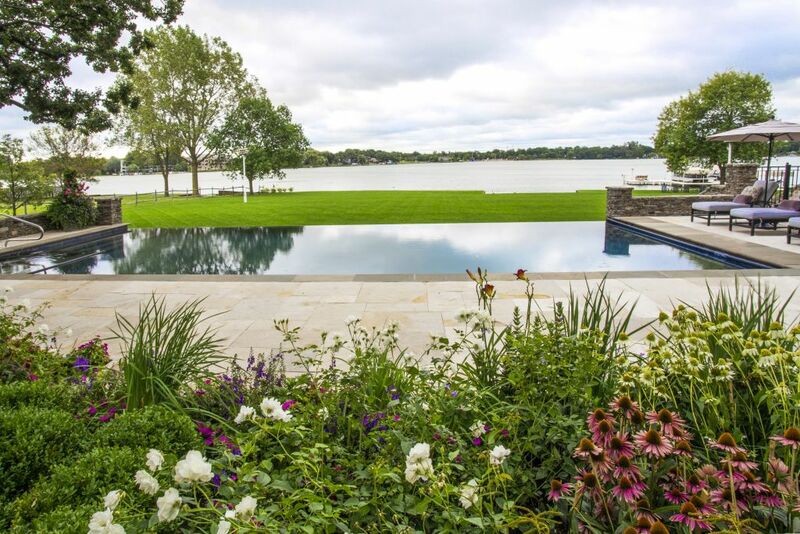 Another incredible feature of this space is the sport court, a large covered area blended into the landscape with surrounding garden beds and a fieldstone used as a retaining wall. Over the two years of development of this site it has evolved into a spectacular space with innumerable details and features.